So it’s you wandering through the fruits and vegetables markets looking to buy strawberries. But wait, there’s something wrong. You see the regular strawberries at not so cheap prices and close to them you see strangely shaped strawberries sold at half price. Are they any good? 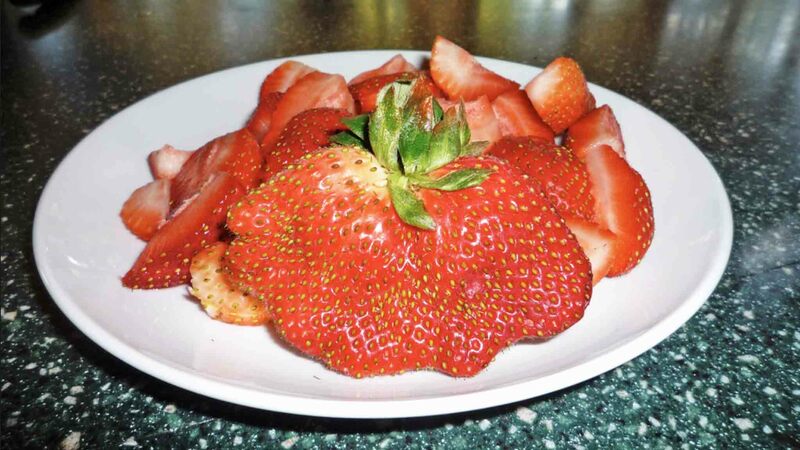 Why do strawberries get deformed, and what can be done about it? Read on to find out what causes deformed strawberries and whether or not you can eat the misshapen strawberries. Why Do Strawberries Get Deformed? First of all, weird looking strawberries don’t necessarily mean they are inedible; it just means they’re weird looking strawberries. Poor pollination. The first reason is the most likely and has to do with lack of pollination. This can be discerned versus other types of deformity by fruit that has variable seed size. The large seeds were pollinated and the small seeds were not. This happens more commonly in the spring after cool weather and frost protection in the form of row covers has limited bee activity. Nutrient deficiency. Like all plants, strawberries need nutrients. Boron is one of the most commonly deficient micronutrient amongst strawberries, as it is prone to leaching. While boron deficiency causes several symptoms, the most noticeable are deformed berries, asymmetrical leaves, and stubby roots. To verify a deficiency in boron, a leaf analysis is required.